LOS ANGELES – The Western Foodservice & Hospitality Expo has been named to BizBash Media’s 2015 list of Southern California’s Top 100 Events, an exclusive group that includes glitzy award shows, crowded food festivals, colorful parades, and celebrity benefits. To select and rank these events, BizBash considers various aspects including economic impact, buzz, innovation, and the event’s influence within respective communities. The Western Foodservice and Hospitality Expo, and accompanying Ferdinand Metz Food service Forum, brings together 400+ vendors and 8,000+ restaurant, food service and retail professionals to to Southern California each year. Since 1936, hundreds of thousands of restaurant and food service industry professionals have attended this industry event to gain experience and knowledge on how to become more informed, more educated, more competitive, and more profitable in the industry. The trade show and conference, sponsored by the California Restaurant Association (www.calrest.org), is the largest showcase of food service products in the Western US, giving attendees everything they need to know in terms of the latest trends, newest product options, and idea generating special events. The 2015 event will be held August 23-25 at the Los Angeles Convention Center. 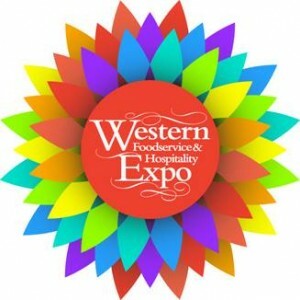 For more information on exhibiting or attending, visit http://www.westernfoodexpo.com. The Western Foodservice & Hospitality Expo and the rest of Southern California’s Top 100 Events list can be found at www.bizbash.com/top-100. BizBash Media is North America’s #1 event marketplace for content ideas, news, and industry resources. Each month nearly 200,000 unique users look to BizBash for venue discovery, event style, and tools for their next event. Visit us at www.bizbash.com. Follow us at @BizBash on Twitter or www.facebook.com/bizbash.